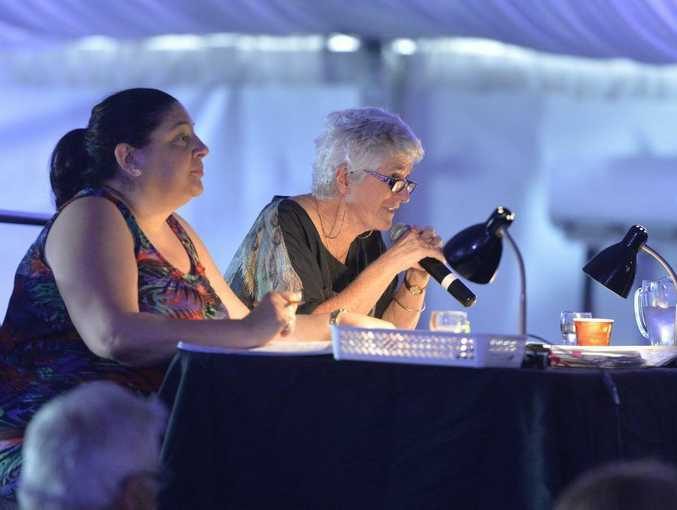 COMPETITORS received a delighted applause at the speech and drama, vocal and instrumental sections of the 2013 Gladstone City Eisteddfod at the Gladstone Entertainment Centre Marquee Marina late last month. Young contestant Ismari Van Der Westhuizen took out many first and second place awards in various vocal sections of the eisteddfod. 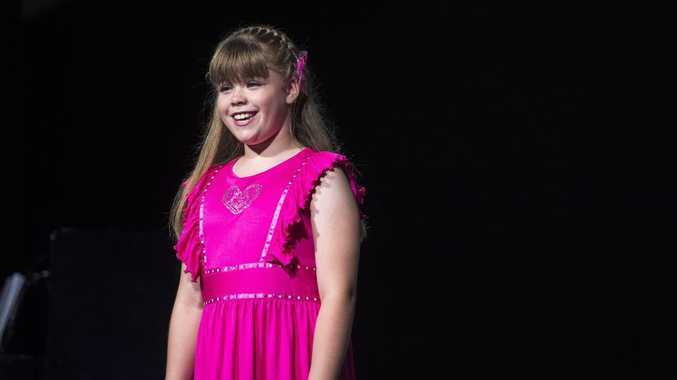 She was also awarded the Norma Tanna Perpetual Trophy for most outstanding vocal competitor, 10 years and under. Ismari said when she grows up she wants to be a singer. And her dream is already coming true. Eisteddfod publicity officer Dulcie Benn said she had received good reports of the event, despite concerns about a smaller stage this year. "Everyone seemed to be very enthusiastic about the whole performances," she said. "Numbers were down slightly for dance because of the stage in the marquee and vocals were down because a former vocal teacher had departed Gladstone. "Yet we expect dance numbers to improve next year, with the enlarged entertainment centre." Competitors came from Mackay, Rockhampton, Bundaberg and Biloela to showcase their skills to adjudicators and audience members. Miss Benn said the enthusiasm was evident in each round and the students seemed happy with the reports from adjudicators. This year featured some quality experienced and professional adjudicators from across Queensland. Pat Buchanan was this year's speech and drama adjudicator. For three years, she was the speech and drama Queensland manager of Trinity College, London. In the vocal section, internationally acclaimed Australian composer, conductor, teacher and adjudicator Sandra Milliken gave some quality feedback to competitors. For instrumental, Gladstone was fortunate to have Kim Kirkman adjudicating this year's section. Mr Kirkman taught strings, composition, conducting, music technology and voice at the Central Queensland Conservatorium of Music, at CQUniversity, Mackay from 2004 to 2012. He was also co-owner, musical director and a member of The Ten Tenors. Miss Benn said the eisteddfod was a great opportunity for children to learn discipline and gain confidence. "And they just seem to make such good friends, as a result of being in the eisteddfod," she said. Miss Benn said organisers were developing an updated procedures policy statement, by which schools, teachers, students and parents could be clearly informed, for example, of the last date by which entries would be accepted. My ambition is to encourage the public to come - for their own sakes. "This will ensure that the volunteers can receive all entrants' names by the due date, in order to be included in the vital eisteddfod publication: the program," she said. For many, the eisteddfod offers the chance to help their future careers. "It helps them have the confidence to go out into the world and play their part," Miss Benn said. As usual, the costumes were dazzling and Miss Benn was proud of every entrant. "It is always thrilling to observe the energetic way in which the parents support their children, with magnificent costumes and make-up," she said. "My ambition is to encourage the public to come - for their own sakes." Results for the speech and drama, vocal and instrumental sections of the 2013 Gladstone City Eisteddfod appear in The Observer's paper edition on November 16.